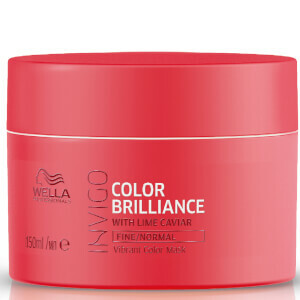 Amplify your colour with the INVIGO Color Brilliance Conditioner for Fine Hair from Wella Professionals. 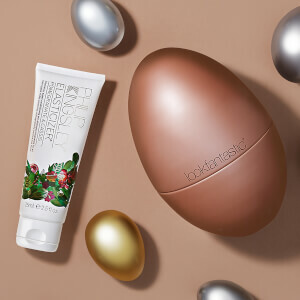 Infused with nourishing Lime Caviar, the silky formula uses a Copper Encapsulating Molecule to boost and maintain the vibrancy of your shade for up to seven weeks. 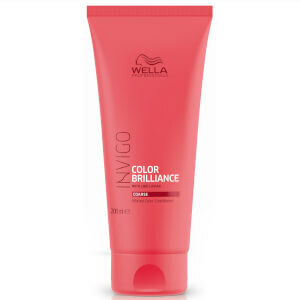 Antioxidant Shield Technology uses Vitamin E to protect against colour fade, whilst the rich conditioner smooths the hair cuticle for a high-shine finish. Appliquer sur les cheveux humides et propres et répartir uniformément. Rincer abondamment. 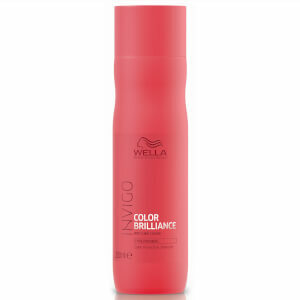 Aqua/Water/Eau, Cetyl Alcohol, Stearamidopropyl Dimethylamine, Quaternium-18, Stearyl Alcohol, Fragrance/Parfum, Bis-Aminopropyl Dimethicone, Benzyl Alcohol, Phenoxyethanol, Cetearyl Alcohol, Glycerin, Glyceryl Stearate, Hydroxyethylcellulose, Oleyl Alcohol, Methylparaben, Tocopheryl Acetate, PEG-2M, Propylparaben, Polysorbate 60, Limonene, EDTA, Histidine, Citric Acid, Linalool, Hexyl Cinnamal, Silica, Microcitrus Australasica Fruit Extract, BHT.